Ricci Martin, son of the world-famous singer Dean, was just like most any other teenager in the early months of 1964. Ricci was totally crazy about and obsessed with the Beatles. Ever since the Beatles arrival in America a few months previously, they had captivated teenagers far and wide and taken the entire country by storm. They were making appearances on TV, their new film “A Hard Day’s Night” was a smash hit, and their songs were blasting out of every radio on the continent. The records: “She Loves You”, “I Want to Hold Your Hand”, “Please Please Me”, et al. were inevitably turning up on the record charts- in the number one spot. And now it was August of 1964 and the theme song to their brilliant first film “A Hard Day’s Night” was sitting brightly atop the charts. This was particularly bold considering Dino hadn’t had a hit record in six years. And come on man, these guys were the Beatles! In 1962, Dean Martin had signed a recording contract with Reprise Records, a company owned by his close friend and comrade-in-arms Frank Sinatra. In 1963, Reprise signed a man named Jimmy Bowden to their A & R department. Bowden very much wanted to record an album with Dean Martin. Dean, always an easy-going guy, agreed to work with Bowden. But Dean wanted to record an album of soft, moody, Las Vegas-type songs. It was to be a typical “Dean Martin album”- slow ballads and love songs sung by the droopy-eyed crooner. The album was ultimately called “Dream with Dean”. The recording studio was set up in a moody light to create the proper atmosphere for the theme while recording. They got together a small band and Dino quickly and smoothly recorded the first 11 songs for the album. The 12th he just hated. It was an old song that had been around for a couple decades called “Everybody Loves Somebody Sometime”. Dean had to be coaxed into recording the number, but after some pushing, he finally agreed. The tune had already been recorded by several other artists like Frank Sinatra, Peggy Lee and Dinah Washington. The song had never gone anywhere and seemed destined to be a small, trivial and quickly forgotten number in recording history. However, “Everybody Loves Somebody Sometime” had been written by Dean’s close friend and piano player, Ken Lane. This factor likely had a lot to do with Dean recording a song he couldn’t stand, to help a pal get some extra royalties. When Dean’s album came out, the song was given little notice and raised no stir. But then, early in 1964, Dean recorded the song again as a single. It was given a new arrangement with Dean speeding up the tempo a bit and adding a more contemporary sound to it. At first, once again, the song went nowhere and Reprise decided to stop promoting it. But radio stations in New Orleans and Worchester, Mass. continued to play it. It spread from there to other stations and gradually gained popularity. Lo and behold- on August 15, 1964, just as he had boasted to his skeptical son, “Everybody Loves Somebody Sometime” actually knocked the Beatles out of the #1 spot on the Billboard “Hot 100” record charts. Needless to say, Dean reportedly gloated to his son, according to Ricci Martin. 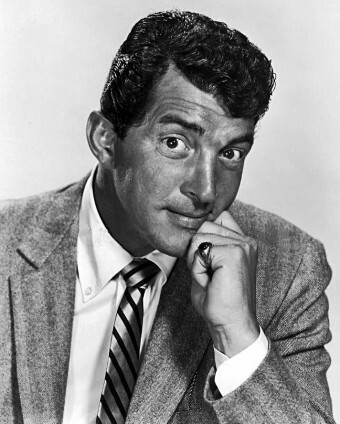 And thus, Dean Martin, in all probability, became the one and only known person to correctly predict that he was going to knock the Beatles out of the number one spot on the charts and actually do it!